Kentucky’s GenCanna says it has developed a non-GMO strain of industrial hemp with 0.0% THC, developed with the assistance of research out of the University of Kentucky. Developing the strain involved genetic selection of hemp varieties with higher cannabidiol (CBD) levels and nearly zero THC levels. “Our OC:00™ genetics are virtually free of THC and will give both industry participants and industry onlookers confidence-in-compliance as they work to deliver new solutions from the hemp plant,” said Steve Bevan, President of GenCanna and Chairman of the US Hemp Roundtable. 0% THC industrial hemp is somewhat of a holy grail. While industrial hemp was legalised in the 2018 Farm Bill, it is defined as any part or derivative of cannabis with a THC level below 0.3 percent on a dry-weight basis.. Higher than that and it’s again considered marijuana. This leaves farmers in a risky position. Also risky is the transport of plant material. There’s been a couple of high- profile incidents recently whereby police have arrested truckers shipping what they claim to be industrial hemp. The most recent was in Idaho. On January 29, Idaho State Police reported it had seized 6,701 pounds of a “THC-containing substance”. Apparently, the truck driver claimed it was industrial hemp (and the company the plant material came from has also done so since), but a Narcotic Identification Kit test of a sample came back positive for THC and a drug-sniffing dog demonstrated a positive alert on the cargo. While it remains to be seen if the haul was marijuana or hemp, because most hemp strains do contain some level of THC, this can cause problems with some testing. Kentucky Department of Agriculture Commissioner Ryan Quarles was enthusiastic about GenCanna’s 0.0% THC hemp announcement, stating it was a remarkable development for the industry and for state. “Announcements like these prove Kentucky is well-positioned to lead the nation in this arena. I congratulate GenCanna on their success, and I look forward to watching them continue to grow and invest in our state and our people,” he said. 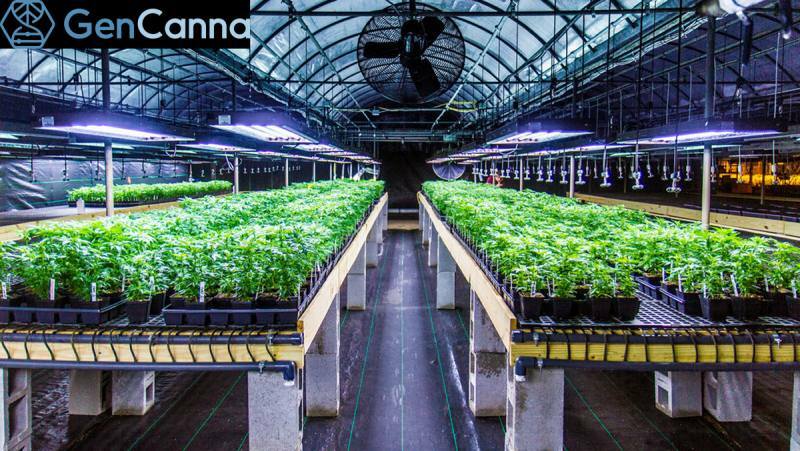 GenCanna isn’t the first company to state it has developed zero-THC strain. Back in 2017, 22nd Century Group, Inc. laid claim to that. However, we haven’t heard much about its development since.